In the little colonial town of Salem Village, Massachusetts, two girls began to twitch, mumble, and contort their bodies into strange shapes. The doctor tried every remedy, but nothing cured the young Puritans. He grimly announced the dire diagnosis: the girls were bewitched! And then the accusations began. 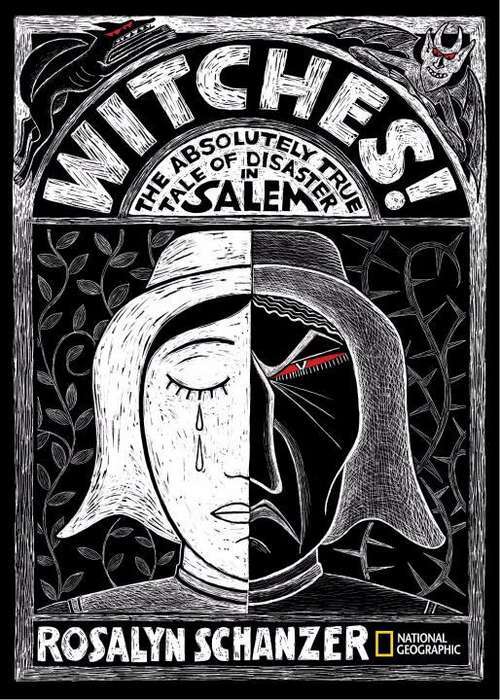 The riveting, true story of the victims, accused witches, crooked officials, and mass hysteria that turned a mysterious illness affecting two children into a witch hunt that took over a dozen people's lives and ruined hundreds more unfolds in chilling detail in this young adult book by award-winning author and illustrator Rosalyn Schanzer. With a powerful narrative, chilling primary source accounts, a design evoking the period, and stylized black-white-and-red scratchboard illustrations of young girls having wild fits in the courtroom, witches flying overhead, and the Devil and his servants terrorizing the Puritans, this book will rivet young readers with novelistic power. Taught in middle and high schools around the U. S. , the 17th-century saga remains hauntingly resonant as people struggle even today with the urgent need to find someone to blame for their misfortunes.